How would you and your friends like to take your Long Range shooting skills to the next level? It doesn’t even matter if you all have different levels of experience as each member of the group will be challenged to improve. As a former Sniper and now as a firearms instructor, I can help you and your friends improve and achieve your long-range shooting goals. Would you like to ensure that your friends and/or hunting partners are all competent and confident at shooting long range and that you are all working off the same song sheet? Would you like to accelerate your learning so you learn the required skills faster? The fastest way to learn and understand what it takes to make shots at long range is with structured, well-delivered training. Our Group Skills Enhancement classes are tailored to suit the group AND the individuals within the group so that EVERYONE progresses. Long Range Shooting is all about improving by small percentages. 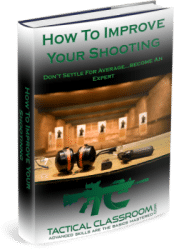 This course has improved my knowledge, understanding and shooting ability by at least 25%. Jeremy is a very knowledgable shooter with a very open and welcoming teaching style. Can't wait for the advanced course. Tactical Classroom is an excellent long-range course which can cater to beginner and advanced shooters. If Jeremy didn't know the answer straight away he went out of his way to find the answer and deliver it in a no BS, interesting way which the student could understand. I went from a very poor shooter at 100 to shooting 1250 yards and felt confident. Awesome thanks. I gained skills for a lifetime. The Group Skills Enhancement Classes are structured to cater to all “learning styles” and “skill levels” and are tailored to the GROUP and each INDIVIDUAL to ensure that you ALL achieve your Long Range Shooting goals quickly! The Group Skills Enhancement Classes will not only increase your long-range shooting ability but will help you to develop confidence in yourself, your equipment and of course your hunting buddies. Our field firing range is set near the foothills of the Ruahine Mountain Range in the Central North Island of New Zealand and replicates “real world” conditions that you can’t get when shooting on a traditional square range. Our range also includes various shooting barricades set up to teach you how to shoot from more challenging positions. You will be amazed at how fast you and the others in your group progress and how confident you all become when shooting long range! *Note – When booking a group session, the person making the booking must book for everybody who will be attending the class at the same time. To pay separately, simply select Bank Transfer as the payment method, then, just ensure that everyone makes payment within 3 working days using Bank Transfer. 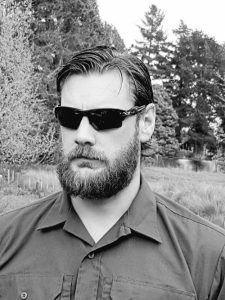 Hi, guys (and girls)…my name is Jeremy Geurtjens and I am the founder of Tactical Classroom Limited, based in New Zealand. I grew up in rural New Zealand and have been shooting since I was a child. Firearms have always been a big part of my life and I have to admit, they certainly influenced my career choice. I spent 2.5 years as a designated Marksman on the New Zealand Police Armed Offenders Squad (AOS), the part-time Tactical unit. I then spent a further 5 years as a Sniper with the full-time Counter Terrorism Unit, the Special Tactics Group (STG). In 2017 I left STG and the NZ Police to setup Tactical Classroom Limited. I am extremely passionate about Long Range Shooting in particular and look forward to passing on my knowledge to people who are keen and willing to learn. Every class is tailored to YOU and your GROUP’s training needs so…the reality is that every class is different. Theory of Small Arms Fire. A rifle (+match ammunition) is available for hire if required. *Note – When booking a group session, the person making the booking must book for everybody at once. To pay separately, select Bank Transfer as the payment method then just ensure that everyone pays using Bank Transfer within 3 working days. Hearing Protection is mandatory. Eye protection is recommended. 100 rounds of Factory MATCH ammunition. *PROVEN Hand-loads are ok. However, they should have an SD or 15fps or less. If you elect to use hand-loads, and you have ammunition performance issues on the course it is your responsibility, not ours. Rifle (Capable of CONSISTENT 1 MOA groups or better at 100y/m). If you do not have a rifle, we have two rifles available for HIRE. The hire cost is $350 per day and INCLUDES 100 rounds Factory Match ammunition. Scope with Target Turrets (aka Dial-Up Turrets) – MIL/MOA or Grid style reticles preferred but not mandatory. Spotting Scope (if you have one). Shooting Sticks/Tripod (if you have). Applied Ballistics Software (Smartphone App or Kestrel AB). Shooting Mat (recommended but not mandatory). If you DON’T have some of the aforementioned items, please let us know ASAP so we can ATTEMPT to source you an alternative item. We can NOT guarantee that we will be able to provide you with the deficient item/s. The Skills Enhancement classes generally begin at 9am and finish at 5pm. Timings can be adjusted by arrangement, including moving a class from the weekend to a weekday/s. Please email us to discuss. Either way, it is recommended that you arrive 15 minutes EARLY so we can sort out equipment etc. Accommodation can be found locally in the Dannevirke township if required. Travel arrangements to and from the training venue are to made by the student and these travel costs are to be covered by the student. If arriving on a flight, the nearest domestic airport is Palmerston North (45min from Dannevirke). If required, you can arrange through a local rental agency for a hire car to be picked up/dropped off there. -Once you have booked a training class you have the option of paying immediately via Credit Card or by Bank Transfer. If you elect Bank Transfer, you have 3 working days to make payment. -If YOU cancel within 7 days of the class commencement date, you forfeit 50% of the class cost. -If YOU cancel prior to the 7-day limit outlined above, you will be refunded in full (minus any refund transactional fee imposed by any bank or financial institution). -If WE cancel the class, we will refund you IN FULL for the cost of the class. We will not cover additional costs such as travel bookings. You can read the full Term and Conditions by clicking here.